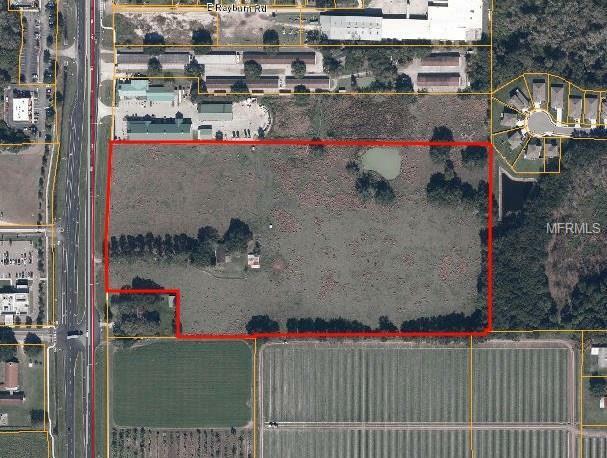 19.2 prime commercial acres located directly on one of Plant City's major thoroughfares. Many national retailers nearby including Walmart, Chilis, Lowes, Aldi, Panera Bread, Zaxby's and many others. Also, Brandon Regional Hospital's Plant City Campus is across the street. Ideal high visibility location with C-1A zoning currently in place. Water and sewer available nearby.